Have you booked a space at a trade show this year? If so, do you have new product or service to promote? It’s an ideal opportunity to showcase your business and clearly deliver your objectives. Having the right set of marketing materials needs to be consistent with your branding. Connect with your potential customers, so that they can find you in the sea of stands. Talking directly to potential customers is your chance to showcase your product or any specialised knowledge in your industry. Looking professional in every way is necessary to avoid any misconceptions. The statistics show that on average, 75% of visitors go to an exhibition to plan or to buy in the future. • Exhibiting is the most cost-effective way of getting your products and services in front of customers. • Set specific, measurable targets for what you want to achieve from the event. • Use relevant promotional items, or a video to help makes you stand out from other exhibitors in a memorable way. • Take advantage of social media, make connections with other businesses at the event to help get your message out. If you are considering an exhibition these points will help you get the best out of the event, with a big investment of time and money for any business. 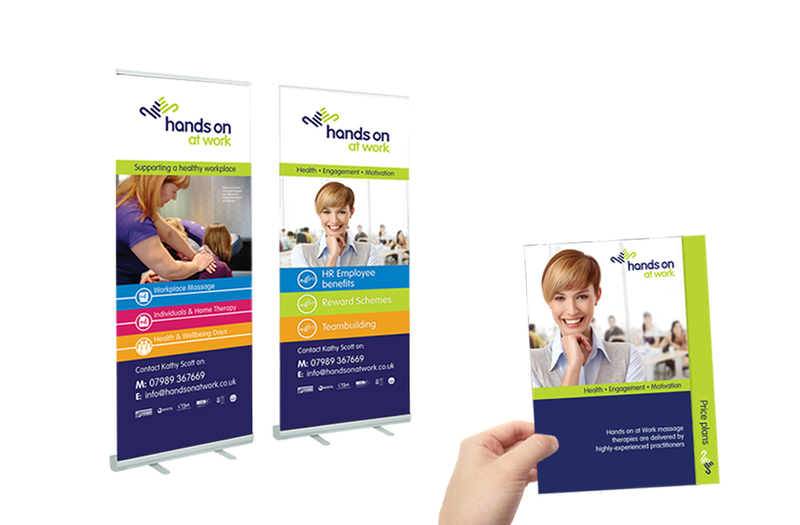 Ensure you’re well prepared with all the marketing material that’s needed to promote your business effectively. Sean Austin, Owner at Austin & Co.
Mike Hopkins, Managing Director at STORM Geomatics. Catherine Howie, Owner at The Sewing Room. Sascha McDonald, Publishing Director at All About Magazines.